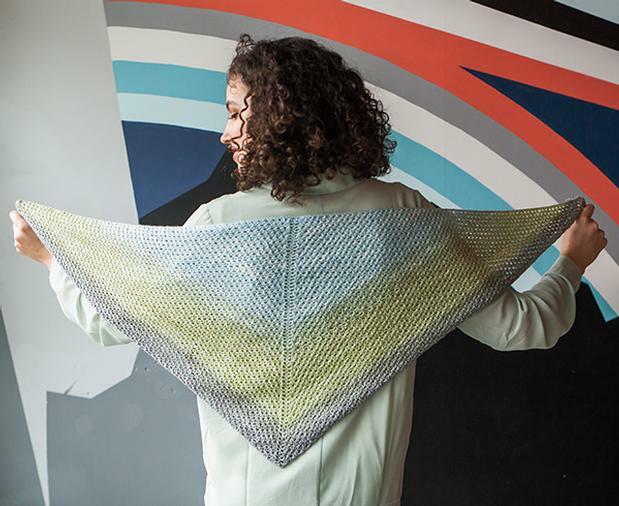 Lavender Fields is a fashionable and versatile gradient shawl pattern. 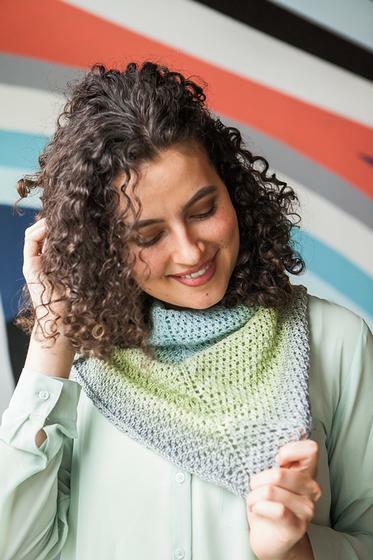 The pattern features an intuitive and easy to read traveling lace that is perfect for a beginner trying lace or shawl for the first time. The shape makes it wearable as either a shawl or a scarf and the open lace pattern makes it an ideal wardrobe addition for Autumn. The construction is top center out and begins with the lighter end of the skein. 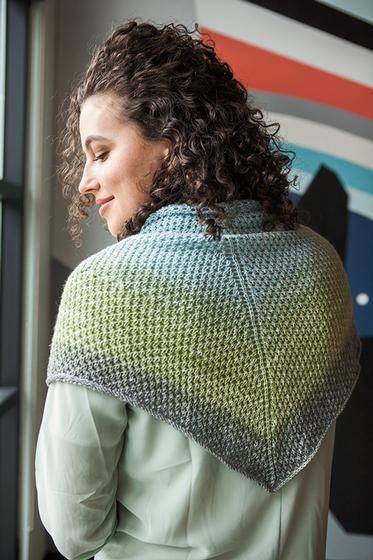 For a larger shawl, the pattern can be easily continued on with a second skein or matching color. LOVE this scarf! I've made this pattern twice in Stroll Gradient and am now making my third. The two finished ones are in Beach House (shown in the pattern photo) and BFF. I always get compliments on these (I wear scarves all the time and have very expensive designer silk ones that people don't bother to comment on). I gently ironed my shawl and it has beautiful drape. 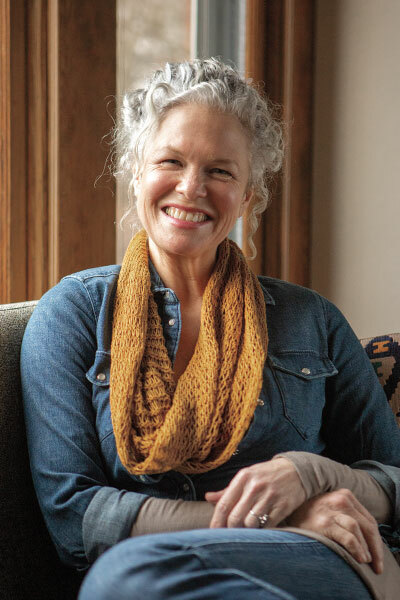 In fact, a gentle iron expands the size so that it's larger than in the photo - the ends, once wrapped around my neck, drape nicely and hold the scarf in place. Not too big and not too small (in my opinion, the scarf in the pattern should have been ironed or blocked to bring it out to a decent size since it looks too small). This is an easy lace pattern - would recommend for beginners wanting to explore lace and for expert lace knitters who want something relatively easy to do while watching TV. 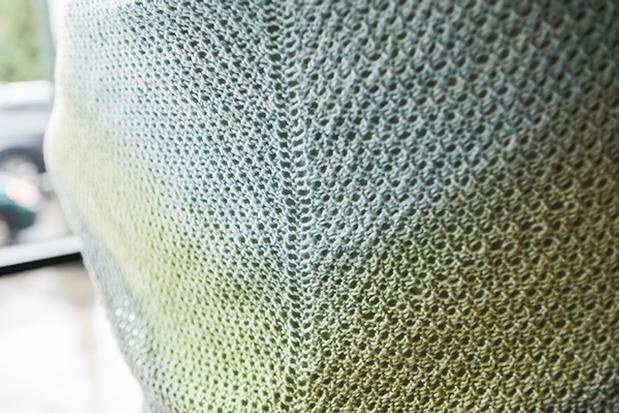 The lace pattern is easily memorized after a few completed segments. NOTE: I found the beginning part of the pattern a bit confusinng. I ended up highlighting and bracketing the segments for clarity. The instructions are correct but seem to make it look harder than it should, because it's not hard at all. THANK YOU to the designer of this pattern! I'm really happy with the way it looks - modern and fresh.